This post, Part #2 of this 101 Guide focuses on the essential part of the hardware: The Workstation. The previous post might be interesting for you if you are seeking out advice on tablets and pen displays as input devices. The workstation, regardless which brand you chose, should be a reliable and scalable workhorse, in the following points, I´ll guide you through the main differences and what you should keep in mind when buying or better said; investing in one. The endless discussion seems to continue, but eventually, with the new Mac Pro, the discussion finally comes to an end. With its recent development, the Mac gets back to creative people and is more interesting than ever. With the late 2015 models, 10Bit support, 5k resolution and silent PCIE-SSD´s, the iMac is where it should have been all the time. The thing that Apple is better at than most PC manufacturer is the hardware and accompanied software support for its own built in features. Conclusion: There is no real difference anymore, it has become a matter of taste. That is the first reason, why Apple isn´t quite necessary anymore, PC-Manufacturer has established a notebook standard and from several brands, there are “Ultrabooks” available, what´s up with that? The Ultrabooks often look similar to Macbook Pro´s from Apple and they meet certain criteria to get the label Ultrabook such as; portability, battery life, power consumption, power, and speed. Actually always a bit lower priced than any Macbook you can lose a big chunk of money on a high-end Ultrabook as well. If a Notebook, Ultrabook or Macbook pro seems to be the only option for you, consider comparing the specs, here is a comprehensive overview comparing Ultrabooks to Macbooks. All-in-one is not a perfect solution, however, it saves place and uses less power. Truth is said: if something happens, you need a replacement of the whole device. If your hard disk crashes or an usb-port is broken you can ship the whole thing to your dealer which is not nice especially if there are deadlines to meet. The iMac has at least the option to be used with an external device from a Time Machine backup, which lets you use it further or even with a replacement. That is an advantage from apple over Windows solutions. If you have a replacement to work with, I´d suggest getting a late 2015 5k iMac with the best configuration possible is simply the best bet here as the hardware is usually built to last. You can get a i7, 4GHz with 64GB Ram and PCIE-SSD AIO Workstation with a 5k resolution that has no real competitor in the PC niche even for the hefty price tag of 3600 Euros. Even Dell or HP has no equivalent All-in-one solution featuring an i7 quad core processor. If you are a student or just have not the space on your desk, here´s a list of powerful alternatives to iMacs. If it has to be a 21″ iMac, think about that Ram is soldered into the chipset and can´t be upgraded later, besides featuring only up to 16GB of Ram only. The desktop Computer aka PC or Personal Computer is still the most used machine to serve Photoshop or other tools for digital painting. And for most uses the regular “Gaming machine” is OK. However, there are some things to consider if you are on the edge to save for or getting a new machine to work with. 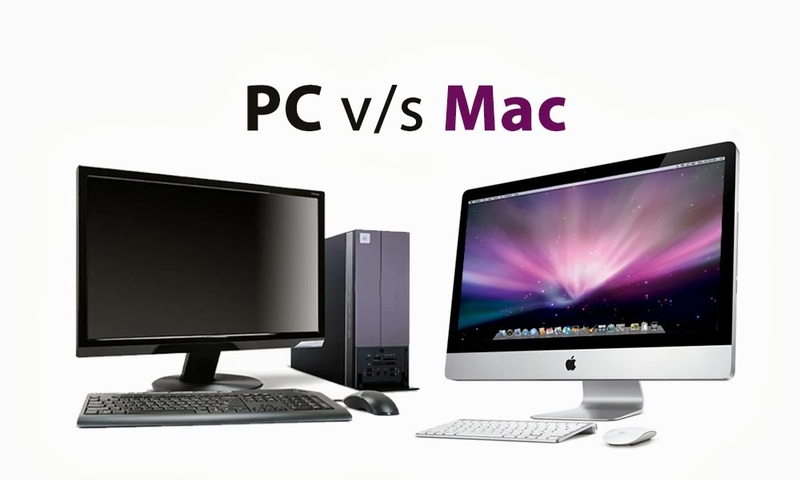 The biggest advantage a PC has over a notebook or all-in-one PC´s is interchangeability of internal parts. If you are only working with it, consider getting an Nvidia Quadro card the mid-range cards are not that expensive anymore , but they are short on power consumption compared to any GeForce card! Processors, I just use Intel: get an i7 if you want constant high-power and speed or a XEON if high-speed and multitasking is what you need. Processor: Get an I5 if you are eager to save on Idle time and have power when you need it. Use SSD for system and fast access (scratch disk) and get bigger SSD´s they are faster. Since processor´s market develops so fast it doesn´t make sense to put up a list on here, also recommendation such as Asus or Gigabyte for mainboards have developed so in recent years. It is vital to research upfront and compare prices of whole system retailers too. The advantage of a pre-built system is that you can get warranty on these parts, often even when you put in your own existing parts such as HDD or Graphics cards. Just to have a number, a good gaming PC that suits Photoshop needs can cost around $1500 and there´s still room to upgrade with SSD or RAM, so it makes sense to get a mainboard with more RAM-DIMM sockets than you probably think you´ll need, replacing RAM-bars is always more expensive than adding up to existing. The new Mac Pro´s are utterly expensive at even the smallest configuration, which is ridiculous. furthermore, it is useless to invest in a Mac Pro with only 4 or 6 cores only. iMacs with i7 configurations outperformed Mac Pros with 6 Cores easily. The problem with the new Mac Pro is that every HDD you´d need except the system drive has to be external, same goes for optical drives such as a burner or DVD/BluRay drive, all are external. Upgrading RAM can become highly costly as there is just room for 4 bars and each can cost around $400. The Mac Pro is also just relevant if you want to edit movies or do a lot 3D rendering. A configuration around 8-12 cores gives you the best bang for the money starting at $8000. The only advantage the Mac Pro has over any other workstation is that it stays silent and uses not much room for itself, that´s it. Get an older 2012 Mac Pro model right now or when the new one comes out, it get´s cheaper then. The old Mac Pro is silent, even the smaller machines have a Xeon Processor and Quad-Core. They have enough room to add-in RAM bars and HDD´s and several Graphics cards. Conclusion: If it doesn´t has to be PCIE-SSD with 1900 MBIT reading-speeds and 2200MHz RAM speed, you are better off getting a 2011-2012 Mac Pro with 8 cores and upgrade that model with an 512GB Samsung 840 Pro SSD and an NVIDIA Quadro K4000, and up to 32GB of RAM – then you should be fine for the next couple of years to work. More specs and tech info here. The typical remark (even from Photoshop Pro´s) is: Why a workstation? Get a good gaming PC and you´re fine. 9 Slots for DIMM-Socket RAM Memory alone and a well thought through- cooling system, combined with hardware like SSD or Kepler GPU´s will pay off the costs faster than you can watch. Power consumption is getting lower while SSD-drives get faster while consuming less power too. The durability and system stability are key factors that can ideally justify the investment into such a beast. Following some general info and overview about the different brands. Even if the Mac Pro can be count as a workstation also, they are so special in every regard that I can´t put it in the list of workstations, especially since the release of the 2013 model, which is less upgradeable than previous models. Ever since the Macintosh is powered by Intel processors, there´s no reason to go to Apple for a workstation anymore. There is a paper from Intel about the difference between Desktop-PC and Workstation (PDF) that may additionally help you to decide for one or the other. The HP Z820 is a very good choice, but be advised that no NVidia GeForce card will work, only Quadros or AMD FirePro. It is watercooled and I´d suggest getting one as a barebone, means just the case with mainboard and probably processor and fit the rest in, matching to the specs of the connectivity. With room up to 512GB RAM you shouldn´t run out of memory ever. A 6-Core XEON processor should also last very long with this machine. Get more info here. The DELL Precision t7610, similar to the HP z820 has everything you´d ever need as a Photoshop professional. A mid-range Quadro k2000 card from NVidia and a 4-6 Core XEON Processor plus a Samsung 840 Pro SSD should do the trick. Ordering one Dell Case with Mainboard and processor only cost around: which is still affordable, More info here. While DELL seems as good as the HP, problem might be that it can be more difficult to get a configuration without anything except processor, mainboard, and case. A very interesting thing is when workstation enthusiasts tweak and find the best hardware to put it together, ADK is about that. More aimed towards video-editing, their workstations are also great for any photographer or digital painter working in 2D and 3D tools. More info here. BOXX is around quite a while and prices range between the 2k and 3,5k mark like the other brands for a decent, not too shabby Photoshop workstation. More info here. Configuration and research is key here. As with all computer related investments, research is due for any of this recommendation. Time flies and a good recommendation now is worthless in 6 months from now and so on. However, some brands like ADK keep you up-to-date with a configuration as much as most of the manufacturer configuration web-tools too. So it is up to the user to decide which kind of graphics card you need for your workload, which Processor, how much RAM and which Harddrive. What might be of interest is that Adobe CS6/CC as also blender makes use of CUDA, a core technology developed by NVidia, programs that make use of this extra processors can benefit from a card that uses it. Another big advantage of workstations is warranty. Usually, you have warranty claim from one dealer/manufacturer, not many opposed to the self-built Desktop PC´s. And in this regard, the higher cost include a free service repair or interchange service -next day, which can come in handy if you have to get work done.